Another picked up at a POTG cellar clearance. Nor corked, this time, which was fortunate because it allowed this to live up to its reputation as a classy Syrah. An enjoyable glass over dinner with Andy and Sarah, which had taken on some (still early!) maturity with bottle age. Initially a bit ‘varnished’, which smoothed out on airing (decant this – not just for the small deposit). Deep garnet colour with a narrow, mature rim. 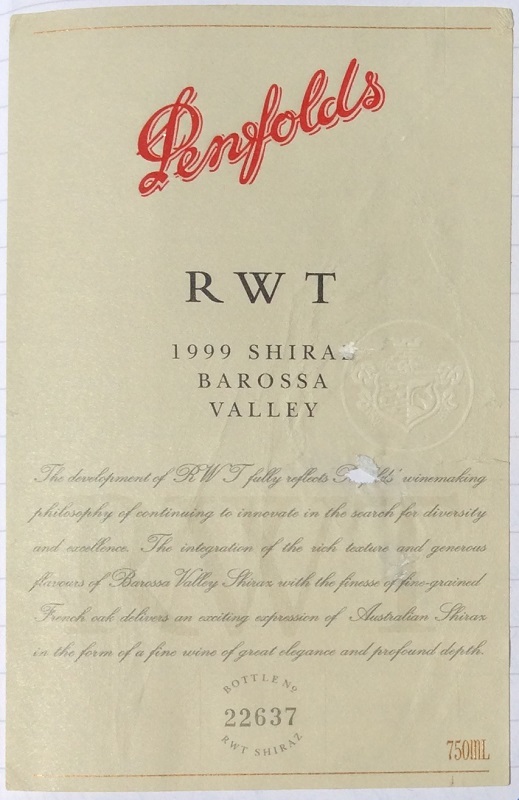 Complex aroma of dark fruit, gentle ‘polished’ vanilla but with overtones of meaty, brawny complexity. Surprisingly high acidity that keeps this wine fresh and drinkable, and a palate that has a good balance of dark fruit to savouriness. Drinkable, or with food. Nice.